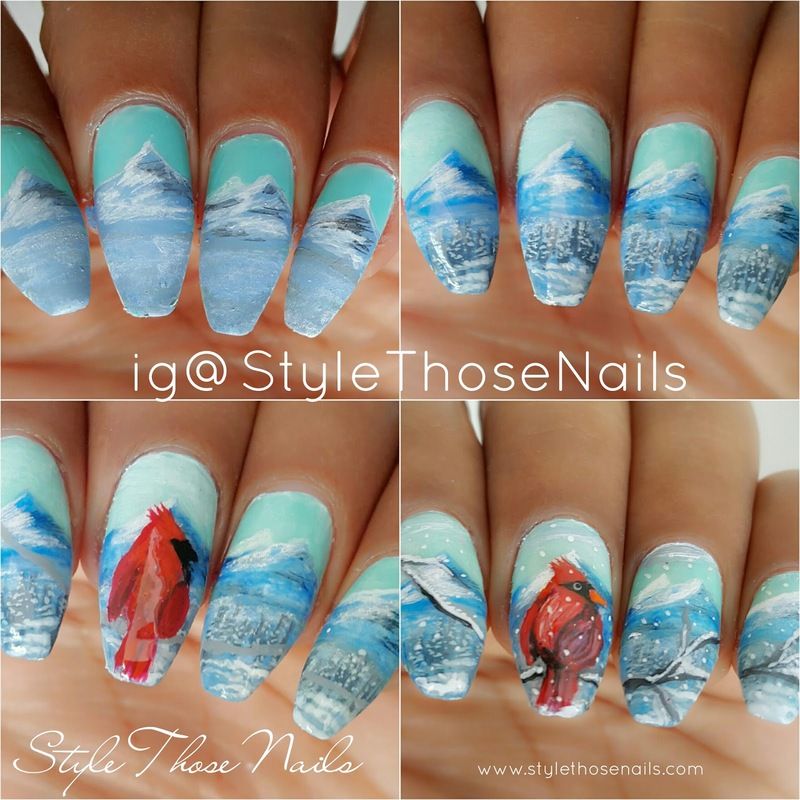 Today I am sharing a landscape nail design. 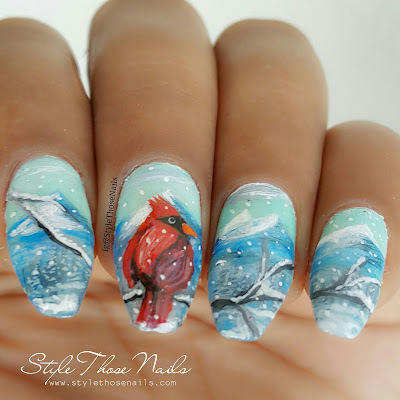 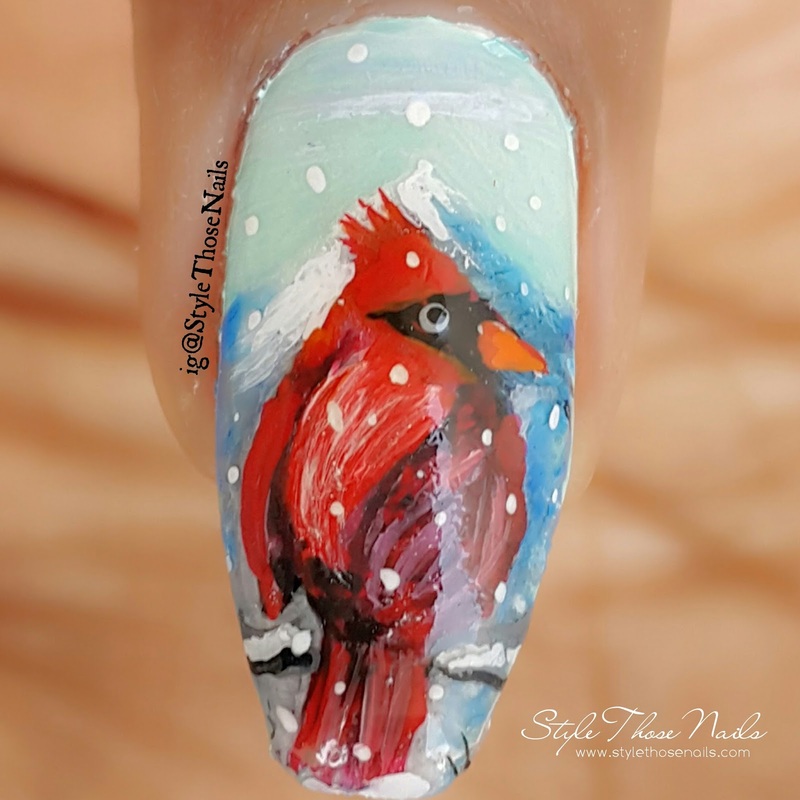 This is a winter theme nailart. I chose to draw winter cardinal ( A bird mostly found in North America) with snow mountains in background. 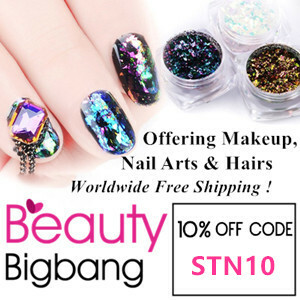 I hope you will like this nailart. Do check out the progression pic I posted at the end of the post .. 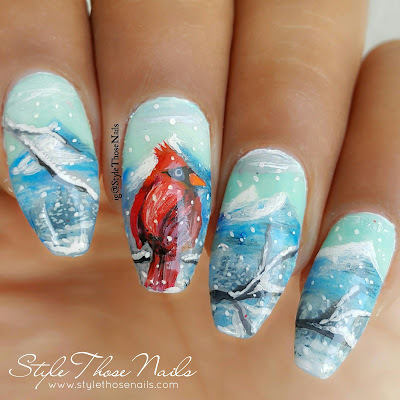 I used acrylic paints to paint everything on a white nailpolish base. 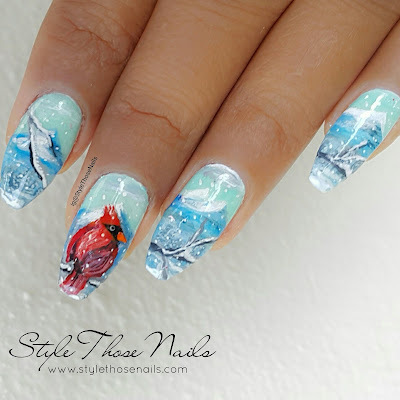 Let me know what you think of this nailart .